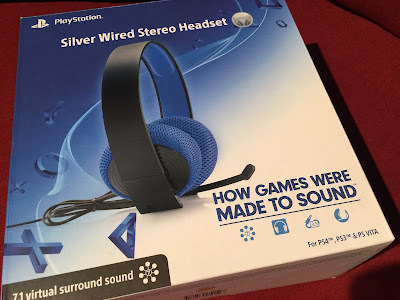 I recently purchased the PlayStation Silver Wired Stereo Headset to use with my PS4, so I wanted to write a few of my thoughts about it. I have owned several different PlayStation headsets for both the PS3 and the PS4 so instead of saying the Silver headset is the best or worst I am just going to give my opinion on it after using it for a couple of weeks. This is just a few thoughts on the things that I liked and the things that I didn’t. Also note that this is my personal opinion and some of things may or may not work the same for you as they do for me. As an example, my head may be bigger/smaller than yours so the headset may be more/less comfortable to me than the headset will be for you. With that said, let me get started! The headset is very comfortable for me to wear for the most part, it does not dig into the top of my skull or my ears. What I mean by that is some headsets are uncomfortable when wearing them for long periods of time, especially when the headset is the over the ear type of headset. The PlayStation Silver headset does not suffer from that issue. I have worn the Silver headset for up to about 4 hours of straight gameplay while streaming Fallout 4 to YouTube Gaming, during that time my ears never got sore as they do when I wear my Sony Pulse Elite headset. My Pulse Elite headset also digs into the top of my skull after about 30 minutes, the fit of that headset is just way too tight for my head. Maybe I just have a big hog head? Either way, the PlayStation Silver does not affect me in the way the Pulse Elite does when I am wearing them. The head mold is a cheaper plastic than the Pulse Elite so maybe Silver headset is just more stretch-y than the Pulse Elite? The fit of the headset is probably more important than any other aspect, maybe even more important than the sound. If you can't wear the headset then the sound does not really matter, does it? The sound of the PlayStation Silver is decent, especially when you connect them directly to the PS4 and experience the 7.1 surround sound. This makes for a fantastic gaming experience, especially in FPS style games where you can hear footsteps of the enemy, this is a clearcut advantage for any gamer! 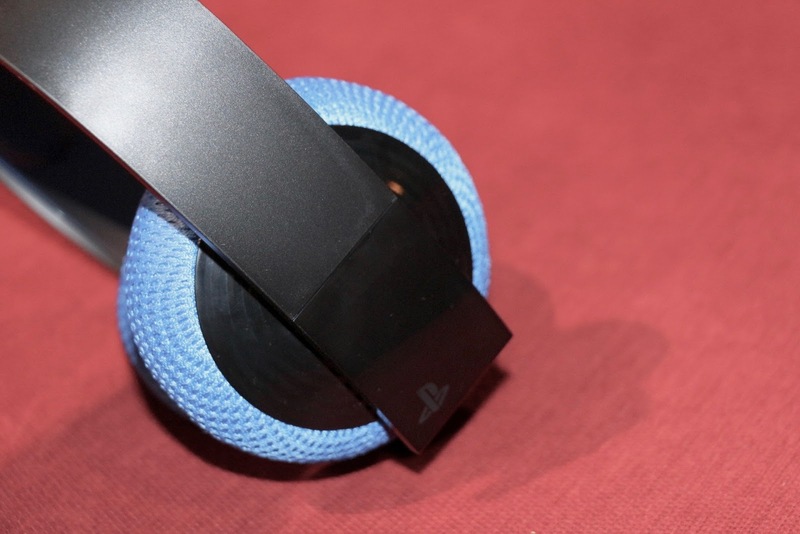 While the PlayStation Silver headset sounds good, it is not anywhere close to the sound level of the Pulse Elite. It doesn't get quite loud enough for my taste when listening to music on my PS4, either in the YouTube app or if I load my own personal music. I have tried installing a few of the apps in the Headset Companion app which is free to download in the PS Store, but I didn't have much luck with increasing the volume level output. When you have your Silver headset plugged directly into the PS4 you also get the ability to mute either the chat or the sound, or both. You can also increase or decrease the volume coming through the headset which is also great if you are wearing the headset while watching a film on your PS4 or even a YouTube video. The downside is you only have that option when it is wired to the PS4, if you plug it into the PS4 controller you lose that ability. The microphone also is the slide out type, you can tuck the microphone away when you are not using in-game chat or if you are not doing a Let's Play style stream and have no need for the microphone. The microphone quality is very good, or at least I have not had any of my PS4 friends complain about my microphone when chatting in game. Another huge win for the PlayStation Silver headset is the price, for $20-$30 you can get a really good headset that offers 7.1 surround sound. 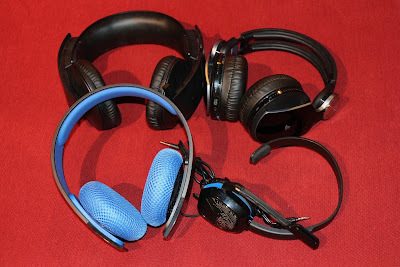 Compare that to some of the offerings from Turtle Beach or any of the other top brand wired gaming headsets. A lot of those headsets cost in the triple digit range, or in the upwards of triple digits anyhow. I only have two gripes and neither are deal breakers! My first gripe is the padding on the silver doesn’t feel that great on the ear. The padding reminds me of an itchy sweater that you just can’t wait to take off! The remedy to this is to buy a third party ear padding, which there are plenty of replacements on Amazon; http://amzn.to/1PY3wGp. My other issue is the fact that you have to plug in the Silver headset to the PS4 in order to experience the full 7.1 surround sound effects through the headset. 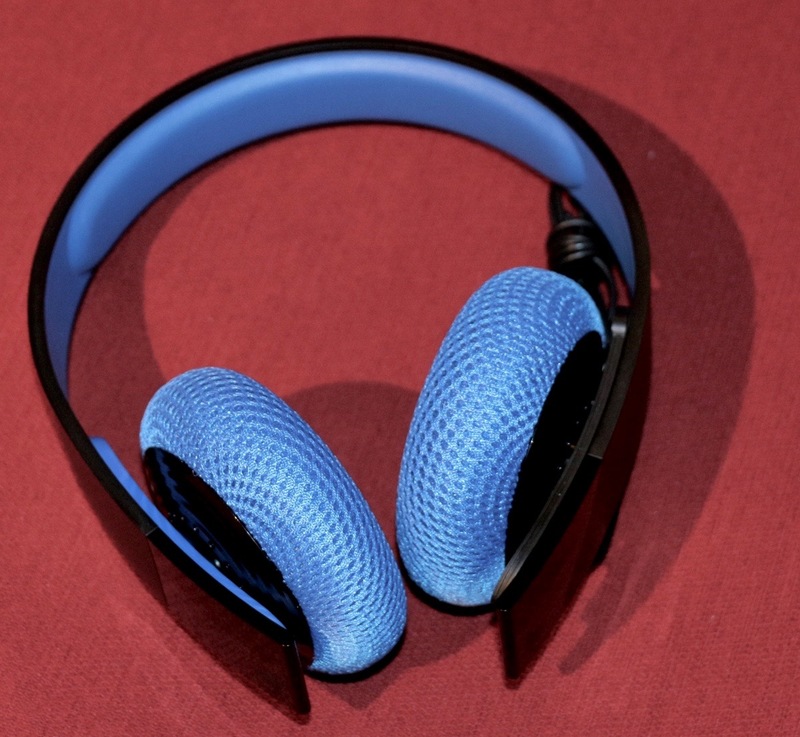 You can plug them into the PS4 controller while gaming, and while you will still get good in-game sound and be able to chat in-game, you lose the bonus of hearing all the background sounds that make headsets so great when gaming. The cable is 14 ft. long, but my issue is the PS4 not having enough USB ports to support everything I need connected at the same time. I do understand the the headset needs to be powered to support the 7.1 surround sound and that the controller just doesn’t offer enough power output to power the headset for 7.1 surround sound. This is a downside of having a wired headset, but it is a tradeoff I wanted to make, even if the Silver headset doesn’t work the exact way I want it to. I am extremely happy with the PlayStation Silver headset and I would highly recommend them to anyone who is in the market for a wired headset. While the wireless headsets offer the benefit of well, being wireless, the wired headset offers the benefit of never having to worry about your headset dying mid-game! That is the number 1 reason I went with a wired headset, I stream daily and some times my streams may go on for 6 hours or longer and having a headset that I know will make it through the stream is very important to me! The PlayStation Silver offers everything I need in a quality gaming headset! More information about the Silver Wired Stereo Headset can be found on the playstation.com website.